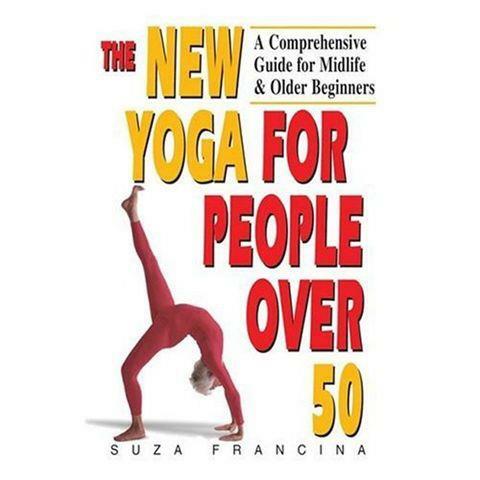 Fifteen years after publication, The New Yoga for People Over 50 still hovers in the top 100 of Amazon yoga books. The idea for this book was conceived in the 1970s, when I taught yoga at The Gables, an Ojai retirement community. I interviewed older teachers from around the world for twenty years, and my manuscript ballooned into the size of an encyclopedia. Time went by, the manuscript was rejected countless times, and my agent died. A second agent gave up after a book with a similar title was published by one of the big houses and mine was rejected on the basis of too many competing titles. I owe a debt of gratitude to Karen McAuley, the Ojai/New York editor who landed in my yoga room just in the nick of time. She took one look at the galleys and declared, “This book has no spine!” I just about threw a hissy fit when she called the publisher and told them the book wasn’t ready. She chained me to the computer and forced me to streamline and clarify my rambling thoughts. So, on this beautiful autumn day, the success of this book gives me the validation to continue onward into the precarious, unpredictable writing-yoga life. You are currently browsing the archives for the Suza’s Yoga Books for People at Midlife and Older category.